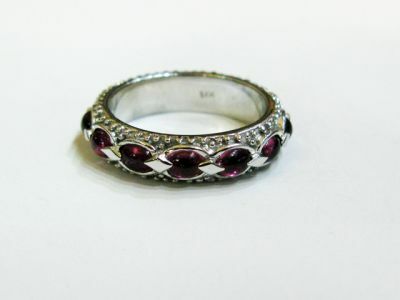 A beautiful 14kt white gold beaded eternity band with 13 oval cabochon deep purplish red tourmalines, est. 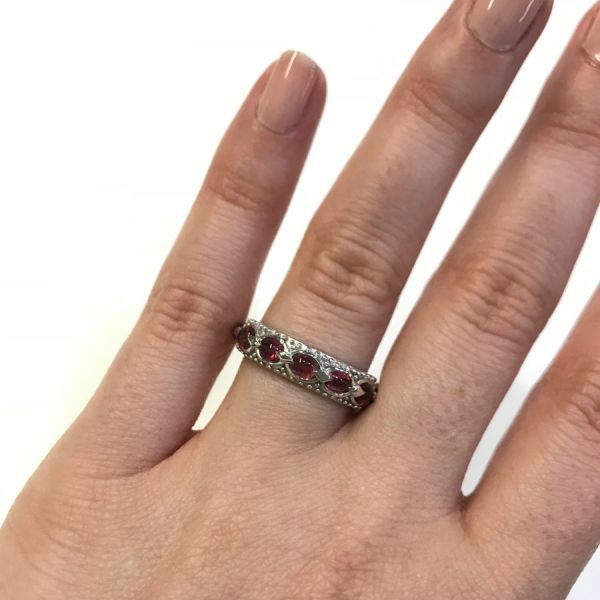 2.51ct. It is size 7.